How to connect Sensebender with serial gateway? A few weeks ago I got some packages in the mail, including 4 Sensebenders, and some other parts. I wanted to start on a small scale and try to connect a node with a serial gateway, since everything is new for me! I uploaded the (example) serial gateway sketch to an Uno clone, with a NRF24L01 attached to it, and also the (example) SensebenderMicro sketch to the Sensebender (with a Foca FTDI serial adapter), also with a NRF24L01 attached. Did I miss a simple setting to do in the sketches? It took a while until I am this point, to ask this question My wife asked me again why I don't have a simple hobby like playing tennis. Looks like you attached the radio correctly to your nodes (no warning). The Sensebender is searching for a parent and for some reason it can't seem to find it. Is that the full gateway log? Nothing else shows up when you (re)start the sensebender? 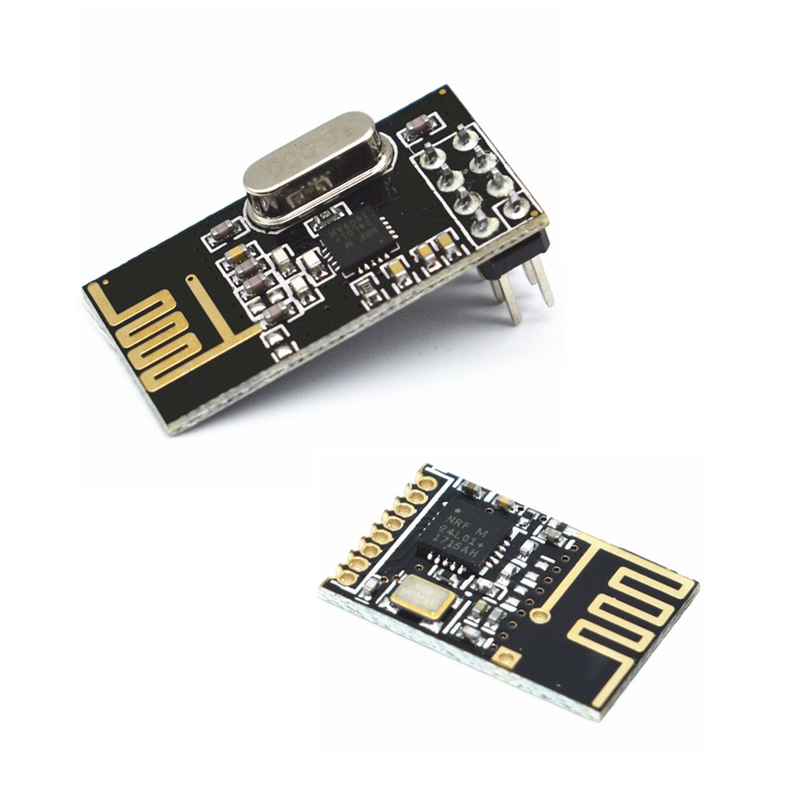 What kind of NRF modules did you get? Any difference if you increase the distance between gw/node (2-3 meter at least)? In the gateway log nothing else shows up. I got these NRF modules. I only have one FTDI adapter, so I can't see right now the serial monitor of the node. Later I will connect the ethernet gateway to the LAN. Another question: is it possible to see a local time in the serial monitor? But this is another story, and could it be that this Uno clone is the problem part - since it also did not work with the serial setup? I have tried different setups now, next one will be with an original Genuino Uno Rev 3 board as a gateway. Also I'll have later another USB serial adapter. Store is closed today. Argh. So it will be next week then. I tried a long range NRF24 too. I have also reset the EEPROM on the Sensebender, and on the Arduino clone. For now I do not know what to do except to change all remaining parts. I already dreamed of !TSM:FPAR:NO REPLY !TSM:FPAR:NO REPLY !TSM:FPAR:NO REPLY Ahhh! What is the difference between the Sensebender example sketch at Github (https://github.com/mysensors/SensebenderMicro/blob/master/Arduino/SensebenderMicro/SensebenderMicro.ino) and the preloaded sketch on the Sensebender? And with the sketch from Github I have the output as seen in my first post of this thread. The preloaded sketch is pretty old... I think it still is 1.5 (@tbowmo ?). It's really weird that you cannot seem to get any connection between your nodes. Almost as there's something wrong with the NRF modules you've received (unless your PCs USB power is behaving really strange...). I am still wondering if it is really more or less easy to setup and thinking that I must have forgotten something. But I have to admit in the beginning it looked for me like a fast job, connecting some dupont cables, load up some sketches, and voila. Yes, it should be easy to get things working... Especially with the sensebender were things usually can't go wrong (with stable battery powering). So either the radios is misbehaving or the gateway have some powering problem of the radio which usually is solved by adding a capacitor near the radio. Adding a capacitor at the radio solved my issues... Sorry for not trying that from the very beginning, today I bought some capacitors, and now it looks good!